As early as 1886, the discovery and development of Radar was under way beginning when, German physicist Heinrich Hertz showed that radio waves could be reflected from solid objects. Over the next eighteen years progress was slow globally until 1904 when German, Christian Huelsmeyer first used radio waves to detect the presence of distant metallic objects. In 1917 Nikola Tesla, the Serbian-American physicist outlined the concept for primitive radar units, and in 1922 Americans A. Hoyt Taylor and Leo C. Young, researchers working with the U.S. Navy, discovered that when radio waves were broadcast at 60 MHz it was possible to determine the range and bearing of nearby ships in the Potomac River. Despite Taylor’s suggestion that this method could be used in low visibility, the Navy did not immediately continue the work. 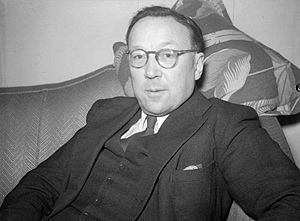 Serious investigation began eight years later after the discovery that radar could be used to track aeroplanes Before the Second World War, researchers worked independently and in great secrecy, in France, Germany, Italy, Japan, the Netherlands, the Soviet Union, the United Kingdom, the United States, to develop technology that led to the modern version of radar. In 1934 the Frenchman Émile Girardeau and Soviet military engineer P.K.Oschepkov both developed continuous-wave ‘obstacle-locating radio apparatus’, in December of the same year, full radar evolved as a pulsed system, demonstrated in the elementary apparatus by the American Robert M. Page, whilst working at the Naval Research Laboratory. The first to fully exploit radar as a defence against aircraft attack were the British. This was due to fears that the Germans were developing death rays. The Air Ministry asked British scientists in 1934 to investigate the possibility of propagating electromagnetic energy and the likely effect. Following a study, they concluded that a death ray was impractical but that detection of aircraft appeared feasible. Robert Watson Watt’s team demonstrated to his superiors the capabilities of a working prototype and then patented the device. It served as the basis for the Chain Home network of radars to defend Great Britain. This technology was initially referred to as RDF, Radar (Radio Detection And Ranging) was coined by the U.S. Navy in 1940, and the subsequent name ‘radar’ was soon widely used. By the time of the Battle of Britain in 1940, the Royal Air Force (RAF) had incorporated RDF stations as vital elements in Britain’s air-defence capabilities. The German Funkmessgerät (radio measuring device) was of no assistance to Germany‘s offensive capability, therefore was not supported by Adolf Hitler. The Luftwaffe (German Air Force) did not sufficiently appreciate the importance of RDF stations in air defence, contributing to Germany‘s lack of success in this early stage of the war. In 1941, the Air Ministry surveyed a piece of land not far from the Broads at Horning in Norfolk looking to establishing a site to host a brand new Air Defence station. This was a Ground Control Intercept station, where Fighter Controllers, backed up by a wide range of support staff, could direct RAF fighters, day or night, to attack enemy aircraft from Germany as they launched raids against Military and Industrial targets in Norfolk as well as against the City of Norwich itself. In September, the first Secret radar system was installed at the new Radar Station of RAF Neatishead. At first, the station was home to temporary mobile Radars but it was soon to boast new, improved fixed Radar systems such as the Type 7 Search Radar and Type 13 Height-finding Radars.The site was operational with an establishment of two officers and forty airmen and airwomen who were billeted in a local village. Training commenced with 255 Squadron, equipped with the Beaufighter Mk2. The station motto became Caelum Tuemur, meaning “We Watch over the Sky”. The station crest depicts the lowered head of a horned bull and relates to the origins of the word “Neatishead”, deriving from old Anglo Saxon language “Nethes Herda”, meaning the “abode of the keeper of cattle”. 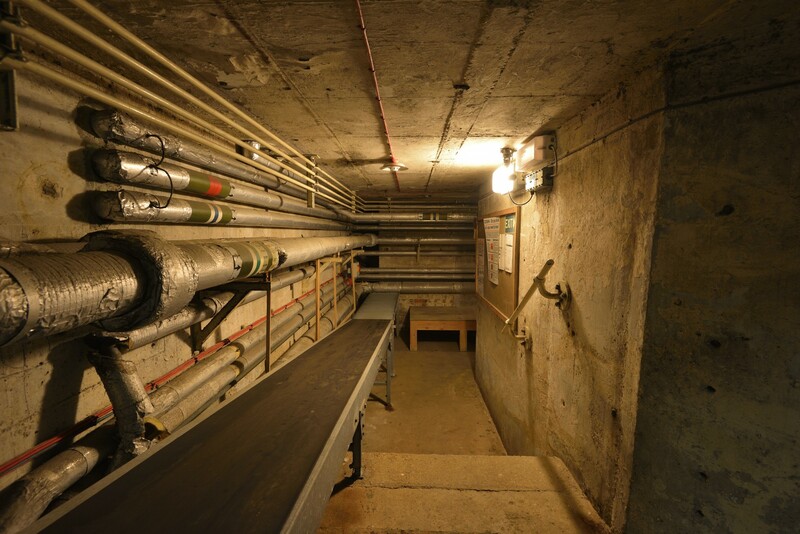 The second phase of building activity began in January 1942, the main feature of this phase was the double storey, protected operations room or ‘Happidrome’ (so named after a contemporary BBC comedy radio programme featuring a farcical music hall), which was completed on 15 July 1942. Adjacent to it was a standby generator building. During this time a timber operations hut (which became a dental and medical centre), a timber ‘goalpost’ gantry (to support a Type-8 radar) and other ancillary structures were built. This phase is known as an ‘Intermediate GCI Station’. In March two Beaufighters were vectored on to a Heinkel 111 causing it some damage during the attack.The Station achieved its first kill in April, when a Czech Warrant Officer Pilot, of 68 Squadron, shot down an enemy aircraft while being controlled by Neatishead. Neatishead had been developed into a Final Station by January 1943 and was one of 21 Final GCI Stations, and one of only 12 to be fully equipped with searchlight and fighter control. The station became operational with a Type-7 surveillance radar giving it cover to 90 miles (149km) and up to 70,000ft (21,336m), linked to it were Type-13 radars which provided information on target heights. In March King George VI and Queen Elizabeth visited the site. During the war the Station also participated in the legendary ‘Windows’ trials. ‘Windows’ consisted of strips of aluminium dropped in bundles by aircraft. It was designed to produce false targets on enemy radar displays as well as hiding friendly aircraft on bombing raids. At the end of World War II in 1945 the world entered seamlessly into a new conflict that was to last 45 years – the Cold War. At this time over 200 radar stations defended the United Kingdom and by 1946, this was reduced to just 36 stations (of which only 26 were fully manned) sited between Flamborough Head and Portland Bill, in a strip known as the ‘Defended Area’. 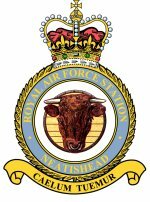 RAF Neatishead continued to play an increasingly important part in Great Britain’s Air Defence, the station was established as a Sector Operations Centre (SOC) in March 1947 and continued to be used as such until 2004, by which time the only other SOC was in Buchan, Scotland. It was recommended that the Sector Operations Centres should be combined with a number of GCI stations. Alterations to accommodate this, including the extension of the wartime Happidrome, began at Neatishead in December 1948 and were completed by October 1950. In the early 1950’s, as part of the Rotor scheme to refurbish Britain’s radar defences, the R3 double level underground operations block was built, accessed by staircase in a rear annexe of a guardroom disguised as a ‘bungalow’, designed to withstand attack by Nuclear bombs. On the surface, new protected radar plinths were constructed and some distance away from the site, a standby generator building, designed to resemble a church, was built. In July 1953, Neatishead was renamed 271 Signals Unit. By the late 1950s, as a result of a change in defence policy following the detonation of the Soviet H-bomb in 1953, the emphasis was moved towards implementing the so called ‘tripwire response’: air defences were scaled down to protect the nuclear deterrent bases and to give early warning of aggression by the Warsaw Pact in order that nuclear armed aircraft and missiles could immediately be launched, after which there would be little need for air defence. In 1961, the scheme to reconfigure Britain’s radar defences, both to respond to the new strategic demands and new technology, known as ‘Linesman’, was approved. Major construction programmes associated with the Linesman programme were restricted to five sites, four of which are in England. The Master Control Centre was at West Drayton. The other three sites were at RAF Boulmer, RAF Neatishead and RAF Staxton Wold, all of which were located on existing radar stations close to the east coast reflecting the most probable line of attack by Soviet forces. 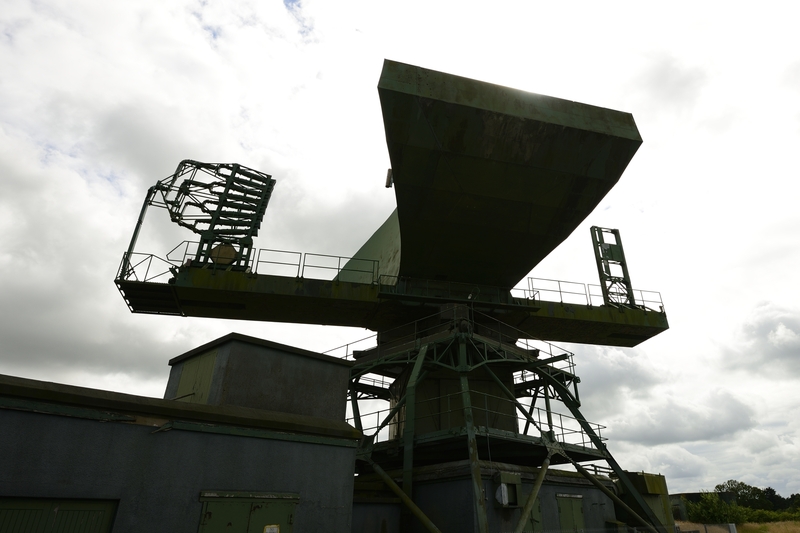 Structures built, at Neatishead, in the early 1960’s include the Type-84 and R17 modulator building, the Type-85 radar and R12 bunker, which housed its processing equipment, High Speed Aerials, HF 200 height finders and a new generator building. Between 1961 to 1963 the station was reduced to care and maintenance and it was then reopened as a Master Radar Station, equipped with a Type 84 radar. On 16 February 1966 a fire broke out in the R3 operations block, station fire teams were unsuccessful in putting the fire out and so civilian fire crews were called. 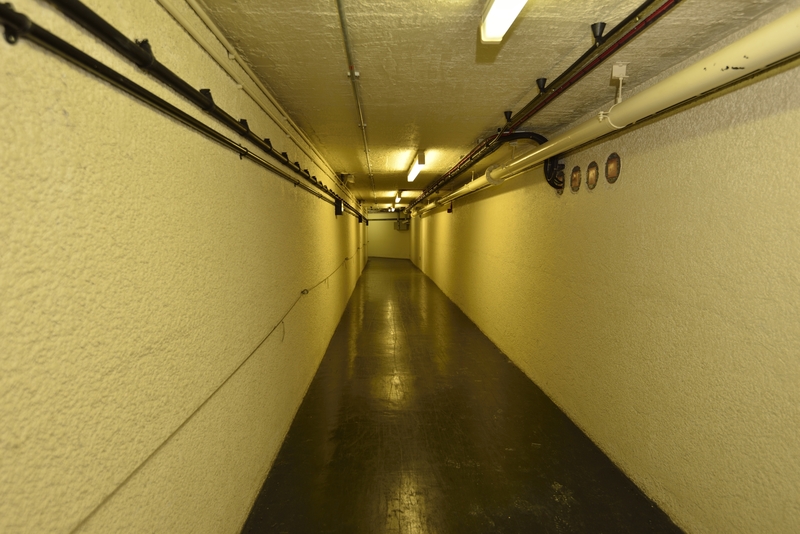 Divisional Officer G R Dix entered the Bunker with two civilian fire-fighters, after 30 minutes, they had overrun their air supplies. A rescue team, entered and were able to locate the civilian fire-fighters but not Dix, a second team entered unable to find Dix and losing another man in there too. Both men were found by the third team to search team and Dix was later pronounced dead on arrival at hospital. During the recues, it was discovered that two civilian Fire-fighters were also missing, but final searches had to be abandoned due to the intense heat and smoke. At this point it was decided to flood the bunker. The bodies of Leading Fireman H J Durrant and Fireman J S Holman were found after the bunker was pumped out. The fire was started in the Technical Stores area, which was located behind the Tote in lower Ops. LAC Cheeseman was sentenced to 7 years for starting the fire and causing the deaths. In the unit inquiry it was picked up that he didn’t have SC clearance, and should not have been in the bunker. The radars, however, continued in use, sending their data to remote sites. Neatishead regained its operational role again in 1972 when the Standby Early Warning and Control (SLEWC) centre was established in the wartime Happidrome, or R30, as it became known following refurbishment. At this time Neatishead was responsible for the control of fighter aircraft located at Royal Air Force bases Coningsby, Wattisham, Coltishall and Binbrook, as well as Victor tankers based at Marham and Shackleton Airborne Early Warning aircraft from Lossiemouth. By the time the Linesman system was fully operational in the 1970s, NATO policy had moved to one of ‘flexible response’, whereby the reaction to any Soviet aggression would not immediately be met with massive nuclear retaliation, but might begin with a conventional phase to allow time for negotiation. Linesman was a comprehensive upgrade of the UK air defence system. Upgrades were aimed primarily at offering improved jamming resistance in the event of a noisy ECM environment. Linesman proposed that three new radars were developed, two primary long-range search radars; Marconi’s Type 84 and the AEI Type 85 “Blue Yeoman”, with additional height finding capability being provided by the Decca HF 200 height-finder. In the 1980’s, Neatishead was redesigned under the Improved United Kingdom Ground Defence Environment (IUKADGE), the system designed to replace Linesman. In place of fixed radar new mobile systems were developed which used sophisticated electronics to counter jamming in place of the massive power input required by the earlier system. These were supplemented by the use of inputs from air and seaborne radars. 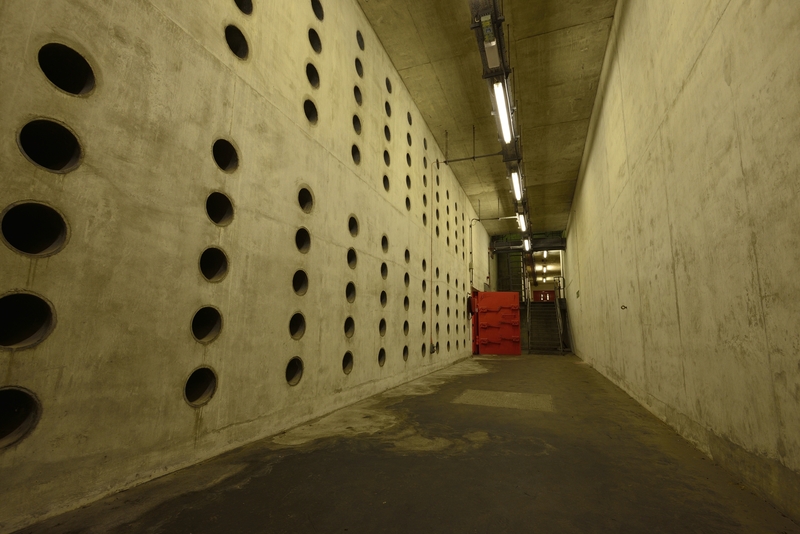 Operations centres were provided with refurbished hardened bunkers, as exemplified by the R3 bunker at Neatishead. It became one of four Control and Reporting Centres. 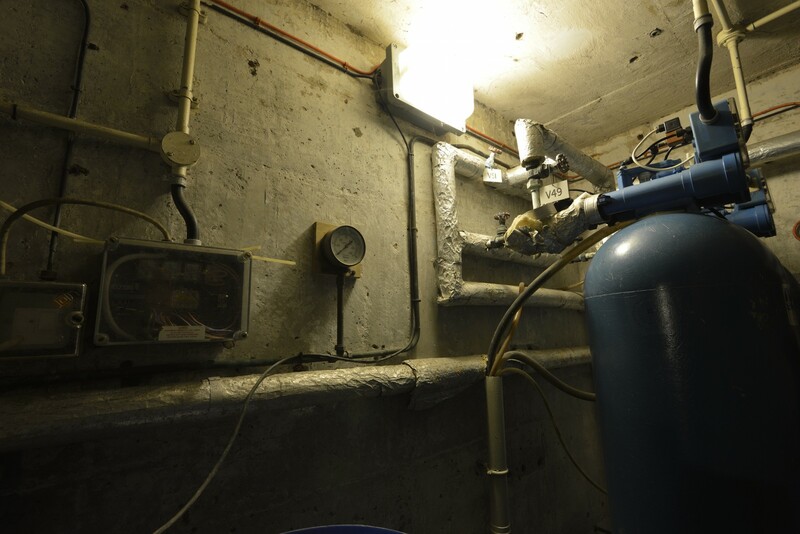 A new plant room was built for a standby generator and air outlets and vents were buried in large holes next to the existing bunker. The original entrance through the guardroom was retained. 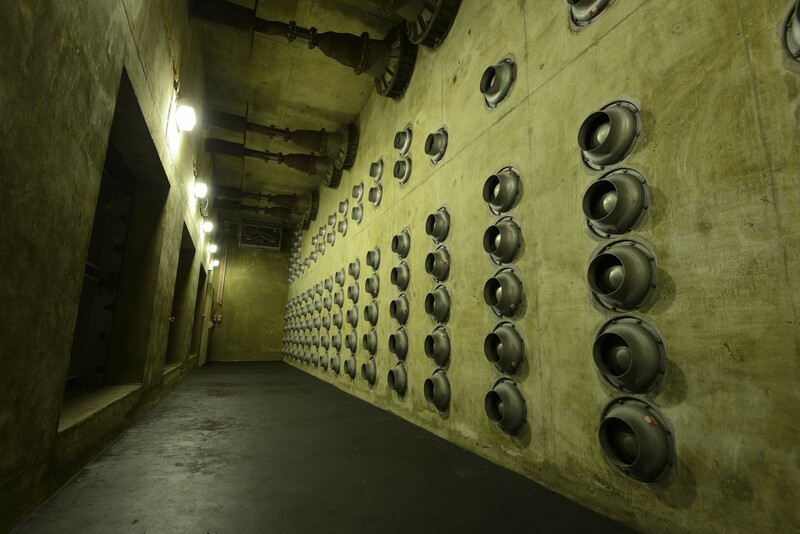 A large suite of decontamination rooms was added, reflecting concerns about biological and chemical agents as well as nuclear weapons. The interior of the original 1950’s structure was essentially retained, but entirely re-equipped, the most noticeable change in the operations room being the replacement of the manually updated tote boards with personal electronic displays. Hold ups in the development and installation of the system resulted in its implementation being delayed until 1992, but nonetheless, it may be regarded as a Cold War system. Subsequent to the end of the Cold War, more concern was given to the working environment on the station; a new combined mess was constructed in the early 1990’s. In 1991 the Type 85 radar was dismantled, whilst the Type 84 (Britain’s last surviving example and longest serving radar in the world) celebrated its golden jubilee. The following year move back underground began with Neatishead became operational with the new ICCS equipment in April 1993. In October 1994, the Air Defence Radar Museum opened. On the 1st January 1999, the Air Force Board Standing Committee decided to agree to a new name for the Museum, the Air Defence Radar Museum and granted permission to use RAF in the title signifying the very close links the Museum has with the Air Force. In the same year the shop was re-located, a new entrance opened and an additional six exhibition rooms opened. In the background, a bid was made to the Museum and Galleries Commission for Registration to conform to national standards of collection and visitor care. Full Registration was granted in 2002. In April 2004 the decision was taken to substantially reduce activities at Neatishead, including the decommissioning of the R3 in 2004, though the air conditioning plant remained in use. Technology had improved to such an extent that all controlling functions could be undertaken from one Control Centre at RAF Boulmer in Northumberland. By 2006, the base had been downgraded to Remote Radar Head (RRH) status, and in the Autumn the site was purchased by PV Farms for £4m with the view to build a solar energy farm. 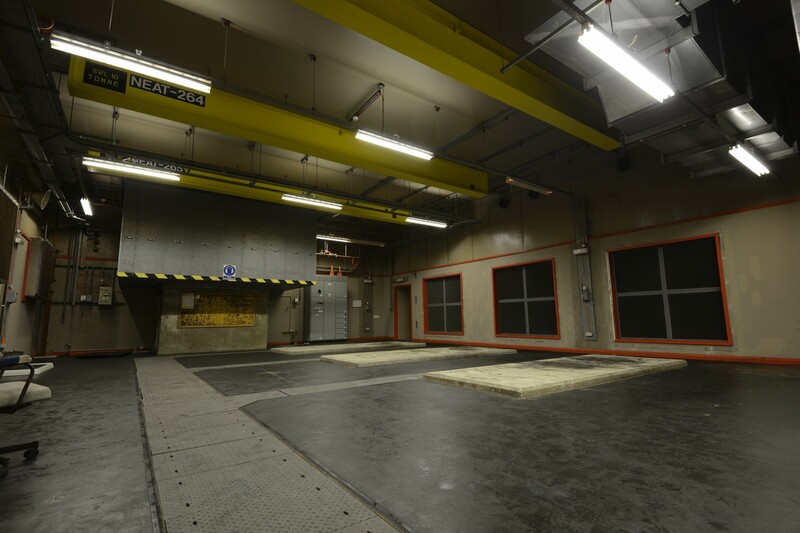 In February 2008, the Type 84 radar modulator building and four radar plinths, the R30 operations room, R3 underground operations block and the R12 radar equipment building were marked as listed buildings/structues of historic interest. The site was again up for sale in 2010 with an asking price of £2.5m, without any offer. Planning permission was granted in 2011 to PV Farms, the proposed plant would power 1,ooo homes, the equipment would cost approx £8.5m and would provide the area with jobs for the next 25 years. Under the plans all listed buildings would not be demolished. Today, the aim of the base at Neatishead is to provide radar, ground-to-air radio and data links coverage as part of the UK Air Surveillance And Control System (ASACS), in support of national and NATO air defence; a task that has become increasingly important after the tragic events of 9/11. Now called a Remote Radar Head, staff based here are responsible for both the Radar at Trimingham as well as equipment at a number of other sites in North Norfolk and at Neatishead itself. Information is sent by secure data links from the various systems to RAF Boulmer where the Controllers monitor UK airspace. Today, the Museum is an independent Trust and the Chairman of the Trustees is Air Commodore Kevin Pellatt RAF with Air Chief Marshal Sir John Allison RAF as our Patron. Running the Museum is the Manager, Chris Morshead who was a Communications and Radar Engineer with the Fleet Air Arm. He is supported by a team of dedicated Volunteers most of whom have worked at Neatishead at one time or another or have very strong links to the Base. Without the dedication and expertise of the Volunteers, the Museum simply would not exist. They are totally dedicated to the aim of the Museum which is “to provide a focal point for the heritage associated with the air defence of the United Kingdom and in particular all elements of the command and control (C²) organisation associated with it”. 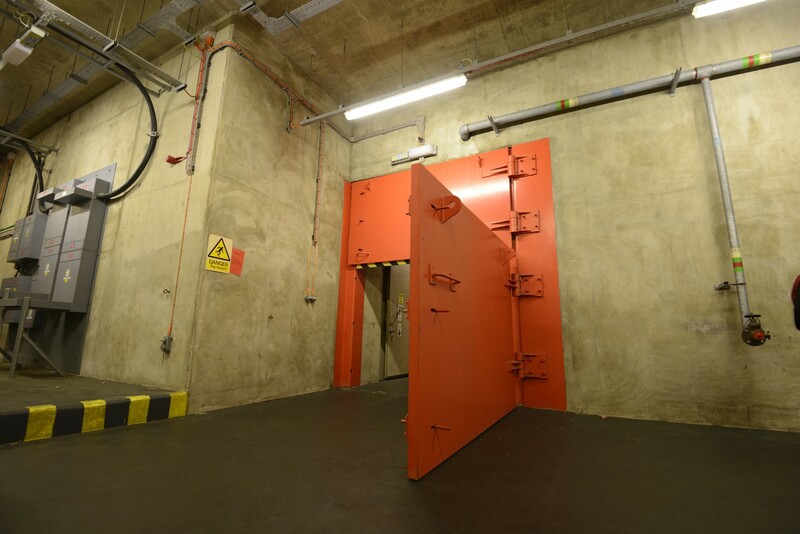 The existing underground bunker at the site is estimated to still use as much as £13,000 each month in electricity to keep it in dry and stable condition. This once secret world has a substantial amount to offer the general public about the history of a specialisation the Royal Air Force has hitherto kept under lock and key and which has little public recognition. Currently Neatishead is once again for sale. Great report! Hope there will be another opportunity the take another look before its sold! Very informative. I served there between Dec 1982 and Feb 1988. Fond memories of the base, RAF Coltishall, where we billeted and Norfolk in general. Excellent work. I served at RAF Neatishead from 1974 – 1980. Many happy memories of those years. I was sad to hear of the station’s downgrade. I was equally sad when RAF Coltishall closed. Being billeted there in Braham Block I have fond memories of the NAFFI. Remember the Disco nights? It’s a great shame we who worked there never get together for a Reunion to share our memories. Anyone interested? Regards and thanks to all at the Museum lest we forget. No. I was an Aerospace Systems Operator at RAF Neatishead and was billeted at RAF Coltishall. We used to be transported to Neatishead every morning and back again in the evening. Happy days. I remember the bus each morning and night between Coltishall and Neatishead in 1975. I was a RADAR Mech so I had to pick up the boxes of food for the night shift at the Coltishall mess and make sandwiches for the night shift guys in the R12 building – I also have fond memories (like John McQulilan) of the NAFFI & the Disco nights, a few beach parties and the motor club bar!! Parent Unit. I left Neatishead late 1962 posted to Cyprus by now a married man. Looking back I was very lucky to get my advance courses in so quickly and promotion to Junior Tech etc. I was quite a good footballer and was often thought to be a professional national Serv. what became of the guy that lit the fire after his jail time? I’m unsure of what happened since.